We’ve all heard the old adage: you spend more time with your coworkers than with your family. While it’s still true, things are a little more complicated for remote teams. The “work family” you may have had when stuck in cubicle farms isn’t quite the same when you work for a distributed company. Whether you’re an extrovert or an introvert, chances are you’ll miss that human connection eventually. Luckily, if you’re like us, you can forge solid friendships with your coworkers—even when you live on opposite sides of the country. 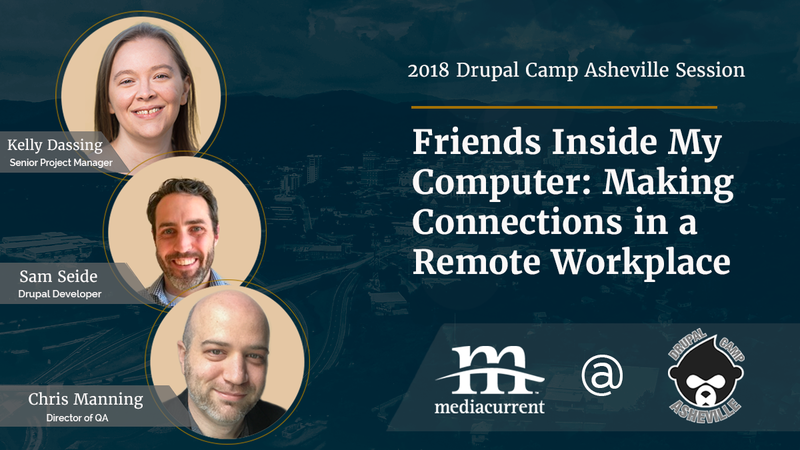 In this session from Drupalcamp Asheville 2018, Kelly Dassing, Chris Manning, and Sam Seide talk about different ways to connect with your colleagues on a deeper level. From regional and travel-in teambuilding events to keeping the conversations alive through the computer screen, there are connections to be made and bonds to be strengthened. Hear the story of the real-life friendship that blossomed between these three Mediacurrent team members from different departments and how it helps them in their day-to-day work. 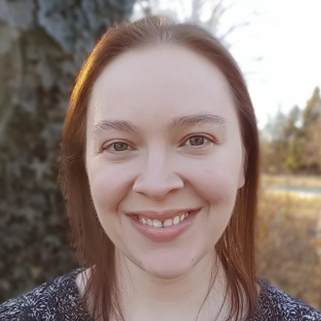 This session is best appreciated by anyone who is a remote worker, whether employed by a small company or larger corporation.